The plane had 118 passengers, two infants and eight crew members on board. 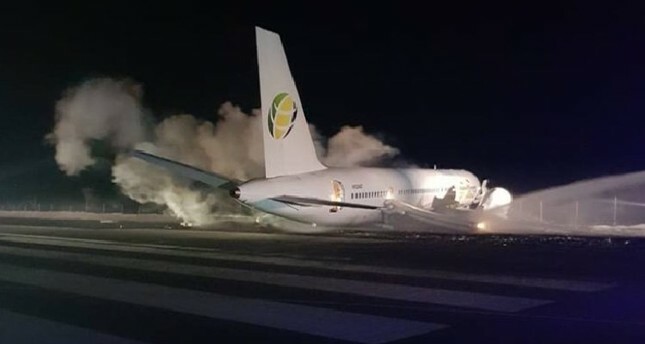 Six passengers suffered nonlife-threatening injuries when the plane landed about 45 minutes after it departed Cheddi Jagan International Airport at about 2 a.m. local time (0600 GMT), hesaid. Last week, Indonesian airliner Lion Air flight JT610, an almost new Boeing 737 MAX 8, crashed into the sea soon after taking off from Jakarta, killing all 189 people on board..